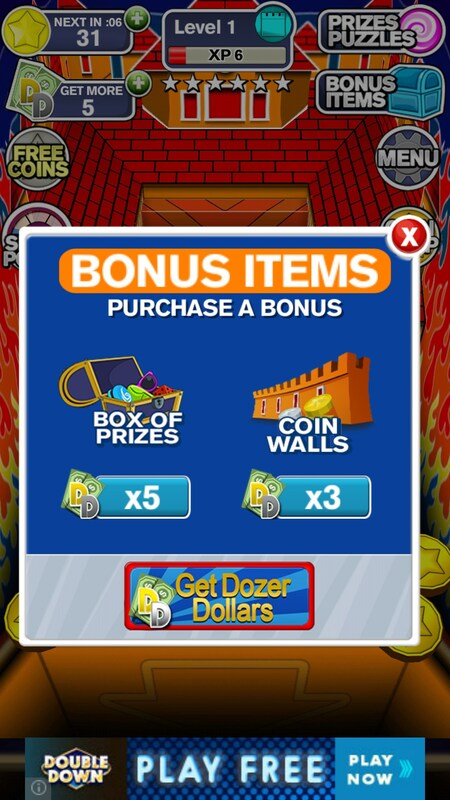 Coin Dozer - Free Prizes! – Games for Android 2018 – Free download. Coin Dozer - Free Prizes! – Give real money for fake toys. 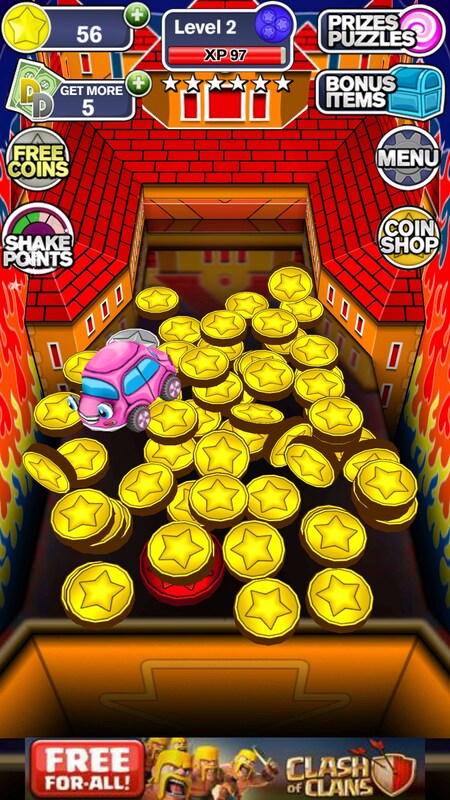 Review Coin Dozer - Free Prizes! 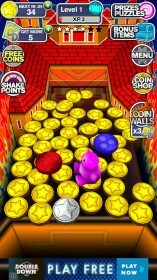 Coin Dozer - Free Prizes! for Android is a game in which you drop coins by tapping, and then the coins are pushed by a lever to push other games out. 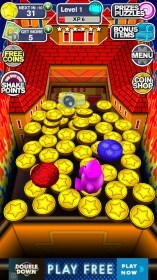 When these coins drop, you are rewarded by sounds of congratulations. Good job! You effectively tapped and did nothing! 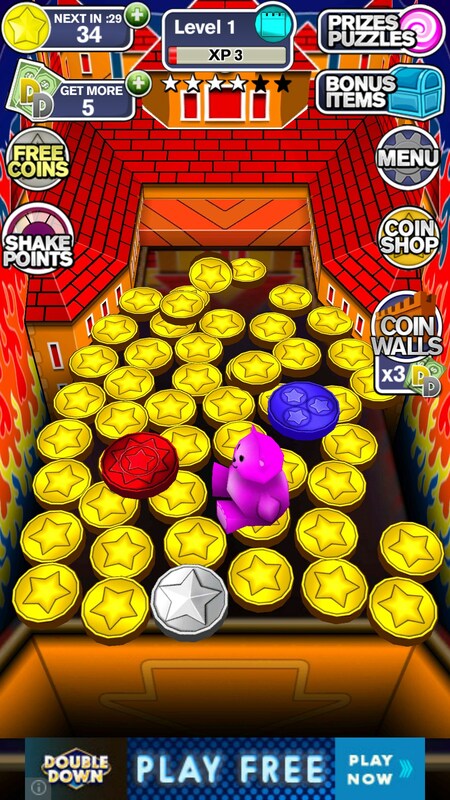 Since the game can be described so easily,and essentially all that is played is tapping one spot to release coins, I hesitate to call this game a game. It is more like a skinner box, in which players are mice and they are rewarded by performing a very menial task and given very very small rewards and incentives. You can tell a lot about this game from it's title. Free Prizes? 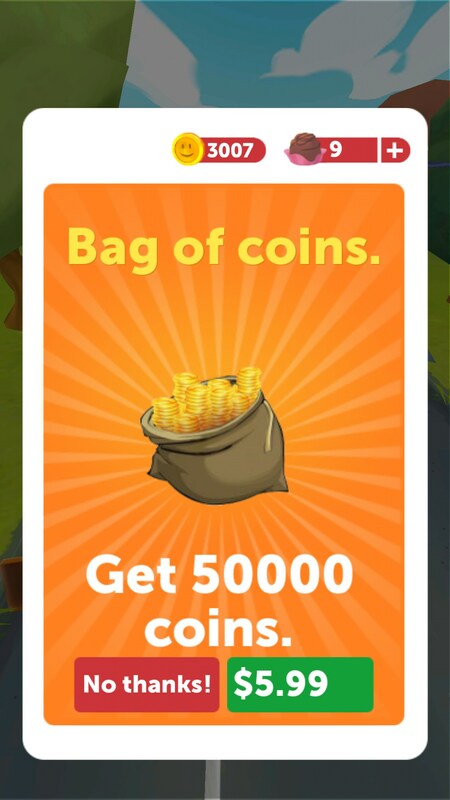 It seems to imply that you will get free prizes outside of the game. 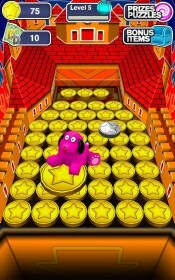 By playing the game more, you are given more coins to continue playing. 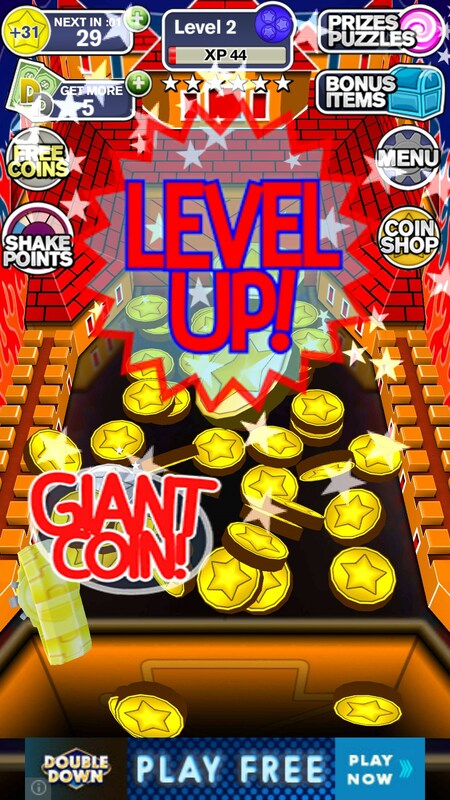 This increases your level, and you can even pay real money to give yourself more coins in which to attain the game’s rewards. You can pay money to have it tell you congratulations, or you can hear the game marvel at a small plush toy or cheap looking watch. 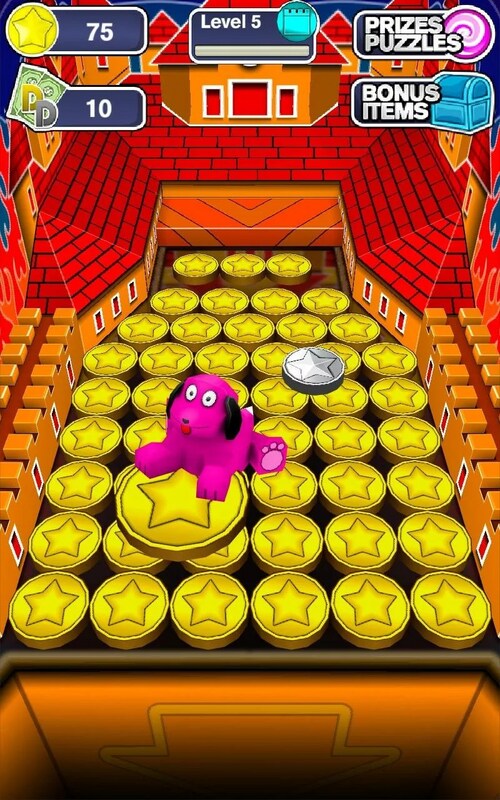 This game could potentially never end if the levels never stopped and the creator just created thousands of toy rewards and other types of systems. Despite the game’s lack of depth, I still think this game is worth a look. This game represents a pure form of micro-transaction, the developer’s clear money grubbing goals, and the effect on the game itself. Essentially, game play is completely eclipsed by everything else and all that is left is shiny coins and “realistic” physics. 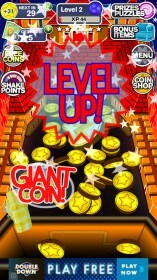 The premise of Coin Dozer - Free Prizes! itself is an interesting analysis of game design. 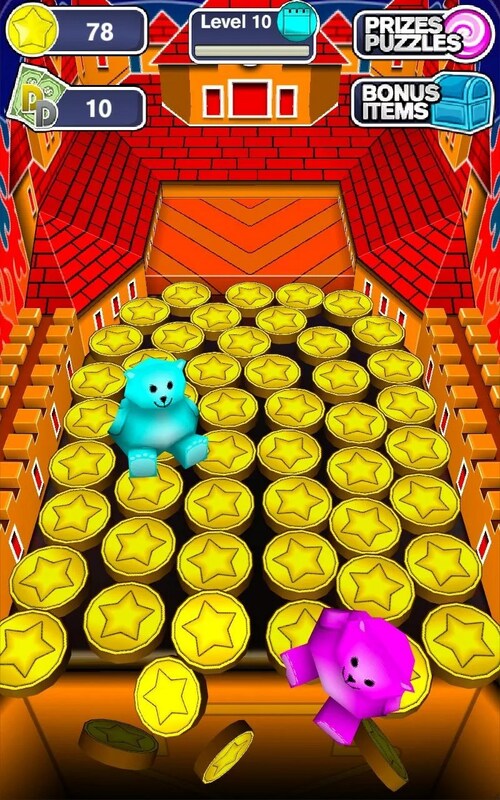 I used to play these types of games in arcades, but only because the reward was something tangible and worth it. The game itself wasn’t really fun, they were actually quite frustrating and often felt very cheap. The only thing fun about these types of games was seeing the amount of money at stake and how many people had played it. 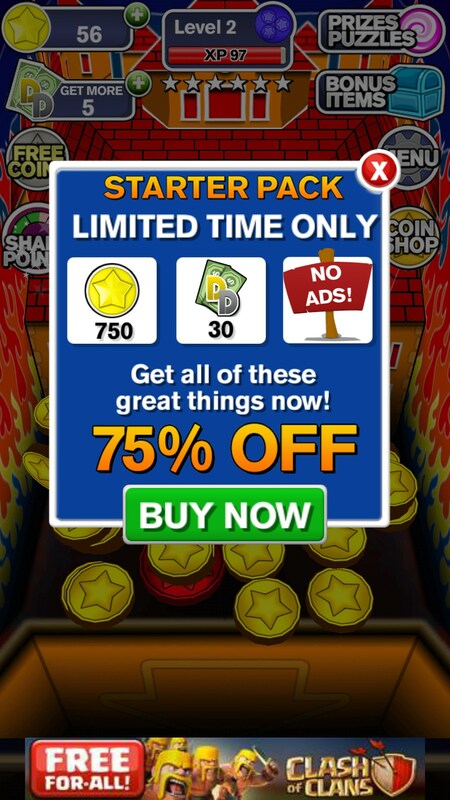 But Coin Dozer has none of these characteristics as it is a single player game, and the only thing at stake is little yellow coins that bring no interesting rewards.